A small, independent potter based in Stawell, producing hand thrown and hand painted ceramic homewares and jewellery using locally and ethically sourced materials. AKA is a hand-made, hand painted ceramics brand, created by me, Amelia Kingston. We are nestled in the Grampians in the little town of Stawell, Victoria, Australia. Since I was 15 I wanted to be a potter. I was told by my careers teacher that being a potter was no way to make a living and I would be a starving artist. Luckily I had an incredible ceramics teacher, Val McCann who was so generous with her time. After school I travelled, worked at a ceramics teacher overseas and then went to university. Strangely my degree is actually in Literature and Philosophy. Over the past 5 years I have developed my brand and my work. I love being a potter. It allows me the freedom to be a stay at home mum and work in the evenings, I still teach primary school art two days a week too, mainly because being a art teacher is a pretty fun job. I currently work in mostly hand-built forms, but throwing was my first passion with clay. 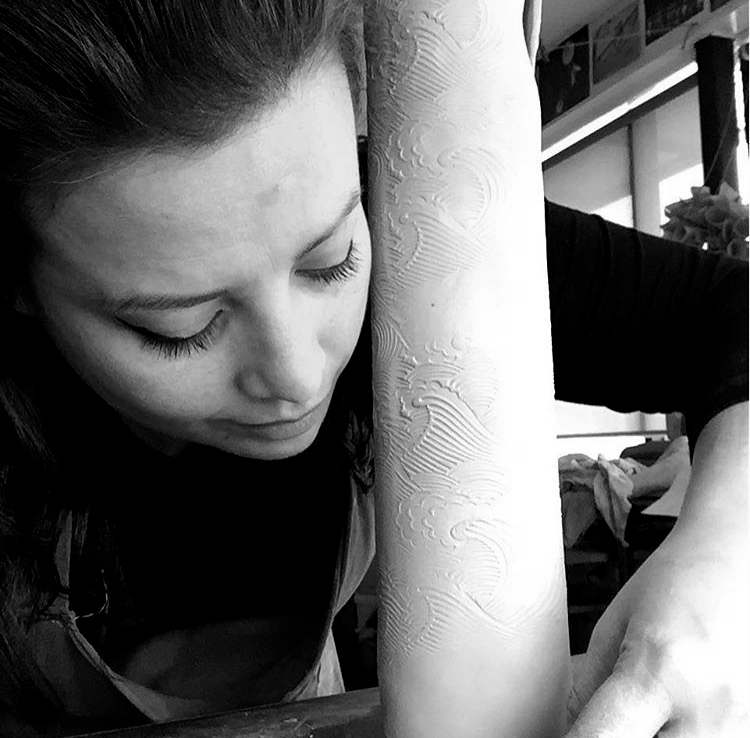 I make my own glazes, and fire in my kilns in our backyard studio at home. I woke with lustres a lot, and most recently I have begun to work with china-paints. I’m so happy I can share the work I love with the world.